Steve Cooper has spoken of his pride at assuming the role of Academy manager. The former U16 coach has been instrumental in the progress that has been made in Kirkby over the past few years, resulting in a deserved promotion. Cooper told Liverpoolfc.tv: "Frank McParland has taken on more responsibility and passed on the Academy manager's role to me. I'm very honoured to be in this position and I am well aware of its importance. 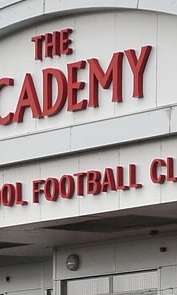 "I will now look after the operational side of things in Kirkby but will always maintain a focus on the football side of it because that is the fundamental part of an Academy. "I plan to remain actively involved in the grassroots football at the facility and will continue to work as hard as possible to ensure we have an Academy to be proud of." Cooper's installation as Academy manager was one of several changes made at the youth base over the summer, including the appointment of Mike Marsh as U18 boss. The duo struck up a strong relationship during their time together at U16 level and Cooper has no doubt the former Reds midfielder will be a huge success. "His progress as a coach was obvious to us all," he said. "It coincided with the improvement we were making here at the Academy and you could see that he was committed to the vision we have here. "Everyone knows he played for Liverpool at the highest level, but he rarely refers to it. Obviously he can relate to what the young lads are going through because he's been there and done it - but there's much more to him as a coach than that. "He has a very modern way of thinking and is an outstanding young coach in his own right. He's also in the fortunate position that means all of his demonstrations are right out of the top drawer! "So it was a no-brainer that we gave him the U18s job and he is determined to help shape the future of the club."